Today: Could your thermometer be telling a lie? Alice spells out how to get an answer you can trust. That thermometer you have in the kitchen drawer? The one you use for meat, for candy, for frying, for tempering chocolate, for bread making, for custards and sauces, and heaven-knows-what? It won’t do you any good unless it is at least close to accurate. A thermometer should be checked when brand new, and rechecked every six months or so, after you drop or otherwise traumatize it, when you haven’t used it in a while, and whenever you just aren’t sure it’s telling you the truth. You can test a thermometer in boiling water or an ice bath; doing both is not a bad idea either. If your thermometer is off by 1 or 2 or even a few degrees and you can't or don’t want to recalibrate it, make a note to self or mark the thermometer, "Reads 3 (or whatever) degrees high." When using, aim for a reading that is 3 degrees higher than the temperature wanted. If your thermometer is off at both ends by significantly different amounts or in different directions, consider Option 3 below -- Contact the Manufacturer. Dial thermometers: These may have a hexagonal nut under the dial. Use a tiny wrench to turn this nut -- very very slightly -- to adjust the dial. 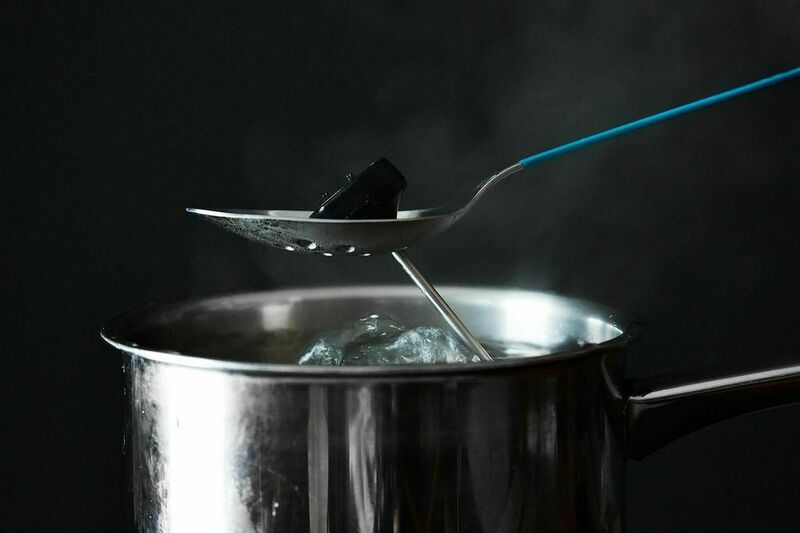 It’s quite difficult to do this while the thermometer is in boiling or freezing water, and the temperature will be in flux as soon as you remove it. 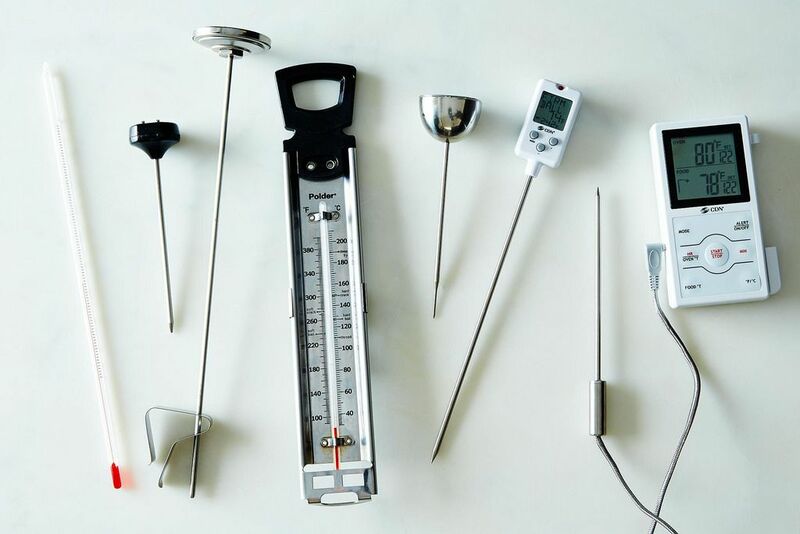 The solution is to note that the thermometer reads (say) 4 degrees high in boiling water, then set the thermometer aside until it registers a steady room temperature. Then twist the stem until the dial reads 4 degrees lower. Then retest in boiling water. If there is no calibration nut, go to Option 3. Digital thermometers: These may have a reset or calibration button; if so, follow the manual to recalibrate. Otherwise, go to Option 3. Note: If your digital thermometer is the type with a remote probe, you can purchase a replacement probe for less than a new thermometer. Mercury or liquid-in-glass-tube thermometers: Forget about it! Techniques for recalibrating are technical and time-consuming. Toss the thermometer, or go to Option 3. Final advice? Always save receipts for thermometers and polish up your heartfelt letter-writing skills. With luck, you might parlay them into a continuing supply of accurate thermometers. Because, honestly, most of the manufacturers could be doing a better job with thermometers. *If you don’t live at or close to sea level, go online to find the temperature at which water boils at your elevation. Use that temperature for the boiling water test. **You may have heard that distilled water is recommended for testing thermometers, because water with a high mineral content may slightly affect the temperature at which it boils or freezes. For normal cooking, baking, candy-making, home brewing, and so forth, we don’t need to worry about that degree of accuracy. ***The manufacturing standard for ordinary kitchen thermometers is accuracy within 2 degrees Fahrenheit. You are unlikely to get repair or replacement if your thermometer falls in that range. More: Test out that spruced-up thermometer with salted pumpkin caramels. Get excited about Alice's forthcoming book Flavor Flours: nearly 125 recipes -- from Double Oatmeal Cookies to Buckwheat Gingerbread -- made with wheat flour alternatives like rice flour, oat flour, corn flour, sorghum flour, and teff (not only because they're gluten-free, but for an extra dimension of flavor, too). Do NOT toss thermometers with mercury in them. Take them to your nearest HazMat recycling center. My center was at the local police department. Glad to read your tips and advice! Highly appreciable. Personally I have figured by using various models around the $20 price range, you can expect to find a model which will measure temperatures anywhere between -50°C to 550°C and a degree of accuracy of between 1.5% to 2%. This is likely to be adequate for nearly all kitchen and cooking applications. I question the ice bath method. Water can not get hotter than 212 degrees F (above that it is steam and leaves the pot, so the water left behind is no hotter than 212 degrees) but ice can get colder than 32 degrees. Indeed, it theoretically can go all the way down to absolute zero. Water can't get colder than 0 degrees C, otherwise it's ice. 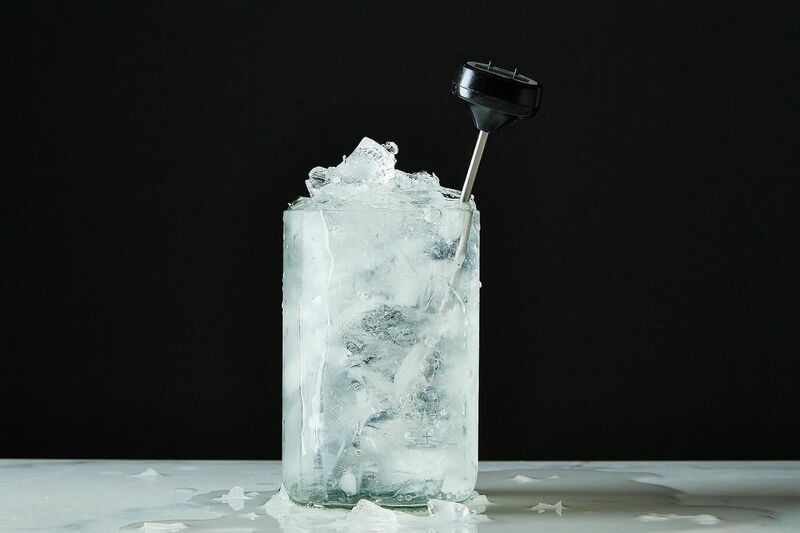 So when you put your colder than 0 C ice in water, the water will "warm" the ice, the ice cools the water, and your left with equilibrated ice water at 0 C.
Remember not to just throw away an old mercury thermometer. You need to find a community household hazardous waste collection facility or pick-up service in your area and contact them about proper disposal. For mercury or liquid thermometers that have the measurements on the side (like the Polder(?) in the illustration) you can calibrate by pushing the glass rod up or down within the clasps - you don't have to throw it out.